DTI mainstreams MSME products. 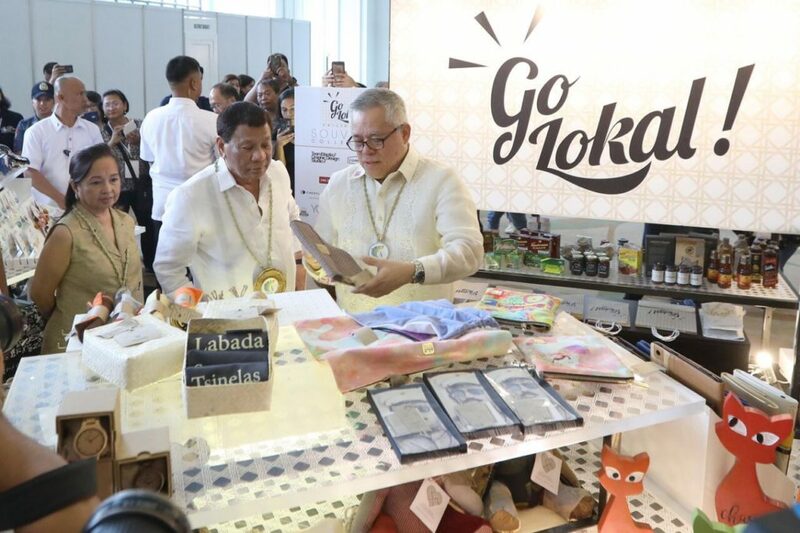 Trade Secretary Ramon Lopez briefs President Rodrigo Roa Duterte on the products of micro, small, and medium enterprises (MSMEs) assisted by the Department of Trade and Industry (DTI) during the National MSME Summit at Clark, Pampanga on 10 July 2018. Sec. Lopez shared to the President DTI’s interventions on product development and design assistance to prepare MSMEs in entering mainstream market. These products are now featured in 56 Go Lokal! stores nationwide. DTI has been in the forefront in promoting modern, creative, and 100% Filipino-made products since the beginning of the President’s term. “DTI’s holistic approach to assist our MSMEs ensures that their products and services reach everyday the mainstream market, inside establishments with the high foot traffic,” said the trade chief. Products of over 364 MSMEs suppliers are given exposure daily through this concept store. Also at the event were Former President and Pampanga 2nd District Representative Gloria Macapagal-Arroyo, Special Assistant to the President Christopher “Bong” Go, Presidential Adviser Joey Concepcion and Congressman Peter Unabia. One of the highlights during the US-ABC SME Workshop held at the Philippine Trade Training Center (PTTC) held on June 27, 2018 was the formal turnover to PTTC as the first country administrator of the ASEAN SME ACADEMY. The ceremonial turnover led by the Department of Trade and Industry (DTI) Secretary Ramon M. Lopez and the United States Ambassador to the Philippines Sung Kim as part of the celebration of the International SME Day encourages MSMEs to engage in an online training platform to digitize business in the country. The DTI Secretary emphasized the importance of empowering MSMEs and increased connectivity through digitalization to build capacity and engender innovation by connecting to overseas market, compete worldwide, and be connected to regional and global value chains. “We already have mentoring programs; we just need to take them online so they can train more MSMEs. We want to give them access to mentoring 24/7,” said DTI Secretary Ramon M. Lopez. PTTC as the Academy’s new administrator is committed to provide the best training support to the Philippines’ MSMEs and to the ASEAN SME community through networks of supportive partners in the Philippines’ NEGOSYO Centers; expanding its best practices to the rest of the ASEAN regions. The DTI and PTTC are optimistic that the Academy is in a greater position to uplift and advance the capacity of MSMEs to become smarter entrepreneurs with the ability to compete. Also present to witness the turnover were the distinguished guests Philippine Chamber of Commerce and Industry (PCCI) President Alegria S. Limjoco, Philippines Senior Representative of the US-ABC Elizabeth Magsaysay-Crĕbassa, General Manager of Cisco Systems Singapore & Philippines Mr. Surendran Vangadasalma. There was a livestreaming of the entire activity to selected DTI regional offices and Negosyo Centers. The same is available for viewing at https://www.youtube.com/watch?v=CmpGCSyyrgY. In the above photo: Ceremonial handover of the ASEAN SME ACADEMY book, “Lessons from the ASEAN SME Academy,” from United States Ambassador to the Philippines Sung Kim to DTI Secretary Ramon M. Lopez. In photo are PTTC Executive Director Nestor P. Palabyab (6th from the left), Philippines Senior Representative of the US-ABC Elizabeth Magsaysay-Crĕbassa (7th from the left), representatives from DTI regions and Negosyo Centers, and ASEAN SME Academy facilitators. The Go Lokal! Stores, a project of the Department of Trade and Industry, is a market access platform for our MSME partners to gain access to the domestic mainstream market and ultimately, to the global export market. It is a showcase of Philippine products crafted, designed and manufactured by the country’s MSMEs. In collaboration with government agencies and retail partners such as SM Kultura Makati, Rustan’s Makati, Robinson’s Place in Malate, Glorietta 2 of Ayala Mall, CityMalls nationwide, Duty Free Philippines Fiesta Mall and Enchanted Kingdom, Go Lokal! has assisted 315 MSMEs in more than 50 stores nationwide with 10 retail partners, generating sales of over Php30M in the past 16 months. 81 of these suppliers are now in the mainstream market. Common Room is a shop where crafters and artists gather to sell their handmade goods. The Common Room curates a brand new collection of Philippine Souvenirs for Go Lokal! which features the artists’ fun and modern take on what they love about the Philippines, interpreted in toys, trinkets, paper products and fashion accessories. Among the pieces in the exclusive Go Lokal! 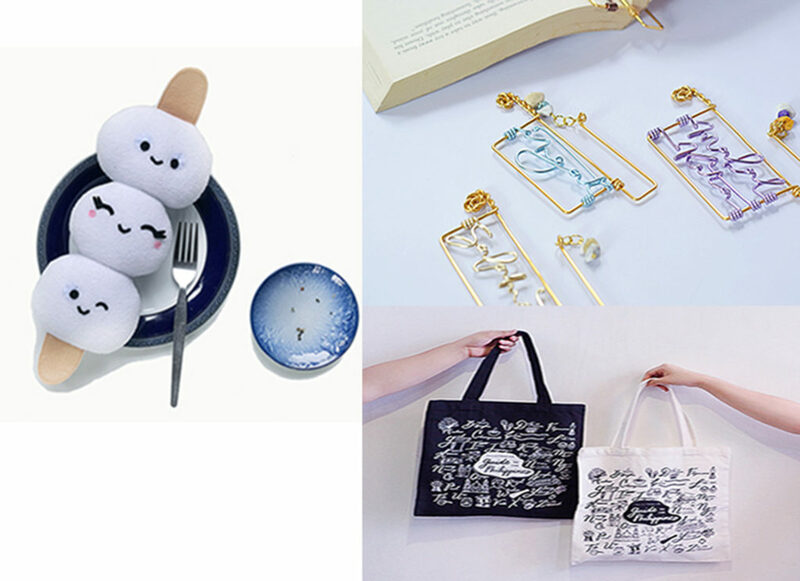 souvenir collection are fishball plush toys by Pop Junk Love, embroidered travelers’ patches by Fandom Feels, Philippine landmarks tattoos by Tattooic, Manila Traffic Survivor button pins by Ella Lama, and accessories with Philippine garden flowers by Life After Breakfast. TeamManila is a graphic design studio that seeks to represent the Philippines in the design community. Taking inspiration and paying homage to the indigenous Filipino tribes, Habi Hiraya features a combination of intricately woven patterns from the Bagobo and Tinguian tribes, and leaf motifs called Uwes. Translated in Memphis design style with a modern TeamManila twist, a play of these elements were used to create a dynamic souvenir line. In collaboration with established clients, TeamManila is currently working on projects ranging from branding, graphic design, merchandise, packaging, space and web design since 2002. Founded by Joseph ‘Jowee’ Alviar and Raymund ‘Mon’ Punzalan, TeamManila has also established its retail component together with multiple subbrands such as Daily Grind and Design Dept. The Go Lokal! 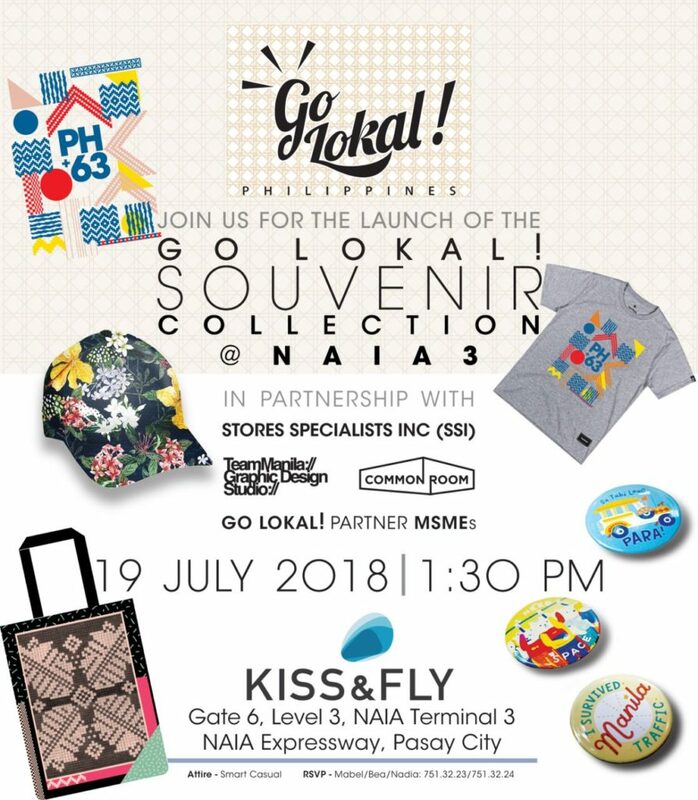 Souvenir Collection will be launched on July 19, 2018 at 2:00 pm at the Kiss and Fly, Ninoy Aquino International Airport (Terminal 3). The Department of Trade and Industry Secretary Ramon M. Lopez will inaugurate the event as Guest of Honor. Invited guests include DTI executives, government officials, airport officials, embassy officials, retail partners and suppliers. Go Lokal! is also available online at http://golokal.marketa.ph/ and https://www.shopinas.com/go-lokal. For more information on Go Lokal!, you may visit or call the Go Lokal Concept Store@DTI, Bureau of Domestic Trade Promotions located at the Ground Floor, Trade and Industry Building, 361 Sen. Gil Puyat Avenue, Makati City at telephone nos. 751 3223 and 751 3229. Kindly look for Mabel Cortez and/or Bea Hernandez. You may also visit the Go Lokal! website at golokal.dti.gov.ph. Department of Trade and Industry (DTI) Secretary Ramon Lopez discussed with United Nations Industrial Development Organization (UNIDO) Director General Li Yong the 1st UNIDO Country Programme for the Philippines (PH) as well as the technical assistance and support for the Philippine National System of Innovation. “The partnership between the Philippines and UNIDO will greatly benefit the Filipino people and improve the current state of the country through various technical assistance and support in developmental areas. As the country programme is based on the macroeconomic agenda of President Rodrigo Duterte, it will support the government’s drive to reduce poverty and improve industries through the development of human capital, innovation, and connectivity in the country,” said Sec. Lopez. The UNIDO Country Programme was crafted in line with the Philippine Development Plan (PDP) 2017-2022. Its framework is based on the country’s national priorities and aims to strengthen collaborations among development cooperation partnerships of the PH government. DTI has identified priority interventions that will benefit from the support and technical assistance from the partnership with UNIDO. These will focus on promoting innovation, upgrading industries, and facilitating manufacturing resurgence. During the meeting, the trade chief highlighted PH’s thrust to push for rapid growth in the industry sector through the Inclusive Innovation Industrial Strategy (I3S), an industrialization program that will ensure the development of the micro, small, and medium enterprises (MSMEs) as part of the value chains. “Our plan is to promote productivity, innovation, and inclusivity in industry development. These will allow participation of those at the bottom of the pyramid and solve the poverty situation,” Sec. Lopez added. Director General Yong commended the programs of the government that reflects the Sustainable Development Goals (SDG) strategies. He also lauded PH’s growth rate, the country’s initiatives empowering MSMEs, the drive for job and income generation, as well as the government’s efforts of linking MSMEs to the global value chains. Meanwhile, Sec. Lopez conveyed the need to include and put emphasis on trade as well as building the manufacturing capacity in the country programme. He expressed that greater human capital, innovation, productivity, and resilience are essential in creating stronger manufacturing and export manufacturing base in the country. “Our success in achieving our goal to balance trade and create surplus depends on capacity building—both physical capacity and human resources. The technical assistance as well as support in these areas are greatly needed,” said the trade chief. Sec. Lopez also mentioned the need to address the power cost, which is one of the major challenges, as it affects the competitiveness of companies operating in the PH. The UNIDO Country Programme aims to address key issues including challenges in investment and ease in doing business, competitiveness, innovation in the industry sector, skills mismatch (labor force vis-à-vis industry needs), availability of data and statistics (industry sector, especially MSME), productivity-enhancing support services, infrastructure (agriculture, forestry, and fishery sector), and vulnerability to climate and disaster risks. DTI has started exploring cooperation with UNIDO in terms of strengthening the innovation ecosystem for industry and support to private sector innovation. This covers measures to strengthen academe-industry linkages for research and development, commercialization, and financing. It also includes firm-level innovation programs for PH’s priority industries such as electronic manufacturing services, automotive and auto parts, aerospace parts, chemicals, shipbuilding, design-oriented furniture and garments, tool and die, agri-business, information technology and business process management, transport and logistics, tourism, and construction. The institutional strengthening of the Department, government, academe, and industry partnerships was also emphasized. The Department of Trade and Industry, as the chair of Doing Business Task Force, is pleased to highlight the reform initiatives undertaken to improve the ease of doing business and level up the Philippines’ global competitiveness ranking. Key reforms include Quezon City’s Business One-Stop Shop (BOSS) which streamlines the process registration process into just three steps: file, pay and claim. With this, applicants can complete the whole procedure in just one (1) hour, as long as all the necessary requirements are complete. Further, applicants do not need to move from different offices which were located in different floors/areas to obtain licenses and permits or make payments on locational clearance and fire safety inspection since the city’s Zoning Administrator and the Bureau of Fire Protection are situated in one location, making it possible to simultaneously evaluate applications for these permits. Another reform is Securities and Exchange Commission’s Company Registration System which allows the online verification of proposed company name and submission of application for SEC registration and documentary requirements. It also gives the user an option to pay the SEC fees online through the LandBank ePayment. “These reforms contribute to improved process of obtaining business and other related permits. Before it was tedious, burdensome, took much time, and people needed to comply to drastic amounts of requirements. With the old setup, people would be discouraged to start a business. But now, it’s different. It is more efficient, streamlined, and more customer-friendly. I believe that this could attract more business to invest in our country, and this will lead to more job generation for our fellow men.” DTI Secretary and Doing Business Task Force Chair Ramon Lopez said. In addition to the reforms stated above, the government recently enacted the Ease of Doing Business Efficient Government Service Delivery Act (EODB-EGSDA) of 2018. The said Act serves as the game-changer in our endeavor to ease doing business in the country. Important provisions of EODB law include the institutionalization of the prescribed steps and processing time for transactions like issuance of local business licenses, clearances, and permits and mandating the use of the unified business application form, which consolidates all the information of the applicant or request party, in processing new application or business permits and business renewals by various local government departments. “Improving access to economic opportunities will require us to listen to our customers – the people and investors. We should not burden them with bureaucratic red tape.” Lopez added. 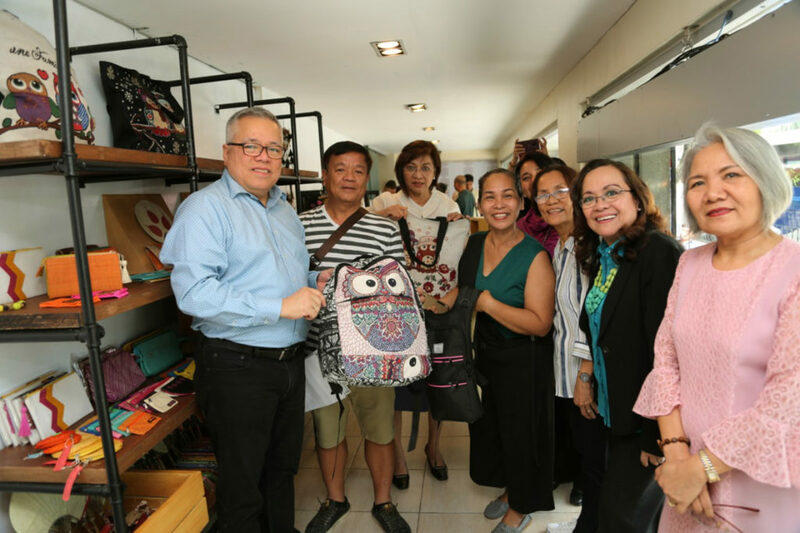 MAKATI – Department of Trade and Industry (DTI) Secretary Ramon Lopez led the opening of the Bagong Buhay Boracay store, the latest program of the agency in providing market access to the products of micro, small, and medium enterprises (MSMEs) from Boracay. 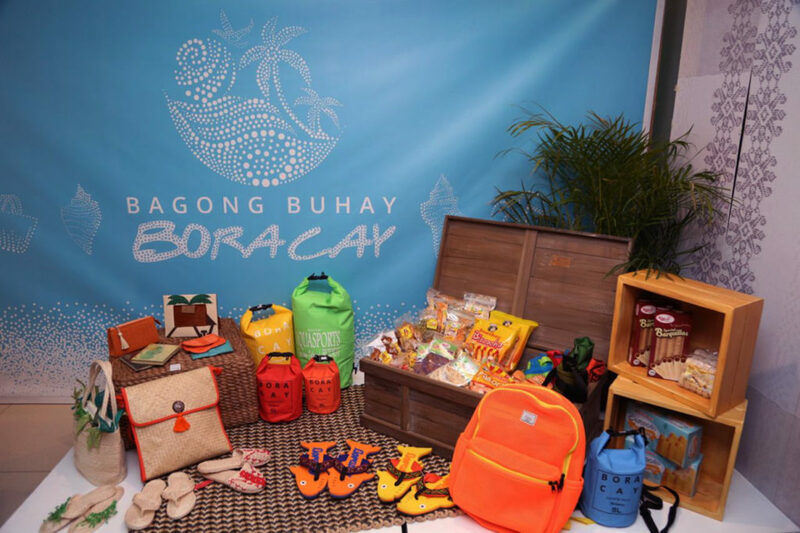 “This is just the beginning of bringing Boracay products to the mainstream market. We will continue to extend financial, technical, design, and marketing support to our MSMEs in the area even after the island re-opens,” said Sec. Lopez. Following the closure of the island to tourists and a series of consultations with the local government and MSMEs in the island, DTI Regional Operations Group, DTI Region VI, Bureau of Domestic Trade and Promotion (BDTP), and Design Center of the Philippines (DCP) pooled their expertise and resources in launching the store in Makati. The store, located at the BDTP West Wing Showroom, features food delicacies, wearables, fashion accessories, home décor, and souvenir products from 21 MSMEs in the island, comprising of 7 food processing businesses and 14 craft manufacturers. These exhibitors have over 150 beneficiaries in Boracay. Some items available for sale are products of social enterprises supporting out-of-school-youths in Boracay and Aklan. DTI will also bring Aklanon products to malls, supermarkets, pasalubong centers, airports, seaports, jetty ports in Manila, Cebu, and Iloilo. In a recent development, some items featured in the Bagong Buhay Boracay store will also be carried by Kultura in SM Megamall. “We guarantee our MSMEs that DTI will keep on providing holistic assistance for their products in terms of microfinancing support through the Pondo sa Pagbabago at Pag-asenso (P3), product development, and innovation. Apart from these, we also help them in branding, marketing strategy development, and market access through Go Lokal! stores as well as of One Town, One Product (OTOP) Philippine hub,” Sec. Lopez added. Meanwhile, the local government of Malay, Aklan expressed their gratitude to the efforts of DTI in helping the affected MSMEs in the island. Mr. Rowen Aguirre of the Office of Malay Mayor Ciceron Cawaling emphasized the importance of providing new market access to the micro and small entrepreneurs, which primarily depend on their daily income to survive. DTI will also provide skills training and start-up kits to the residents who wish to engage in other alternative livelihood activities. This include siomai making and screen printing. “In the coming weeks, we will be launching other events to bring the Boracay experience to the metro. We will have Boracay Festivals in Manila wherein apart from the products we can buy in the island, we will also bring in the activities the island is famous for, such as fire dancing, tattoo artists, hair braiders, caricature artists and more,” said Sec. Lopez. “We encourage everyone to support our brothers and sisters in Boracay and Aklan by visiting the Boracay Stores and buying their products,” Sec. Lopez concluded.